The good — and bad — thing about the Silver Crystal is that we know practically nothing about what it’s made of, or even precisely where it comes from. This means that, like we often wind up doing, we need to first set some ground rules before we can get started with our analysis. First and foremost, one of the biggest questions is: which Silver Crystal are we talking about? When we’re talking about precious gems, the size, shape, cut, and clarity all play a factor in determining price. Unfortunately for us, the Silver Crystal’s design is far from consistent across the series. 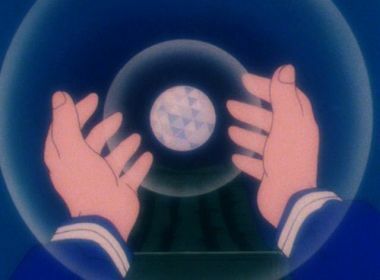 For the sake of simplicity, and my sanity, I will be going for the traditional sphere design that connected to the Moon Stick and went inside Sailor Moon’s Crystal Star Compact. After all, the Silver Crystal’s lotus blossom form sells for around $45 on eBay,1 so I wouldn’t put too much stock into that. Next up is the question of just what the Silver Crystal is actually made out of. 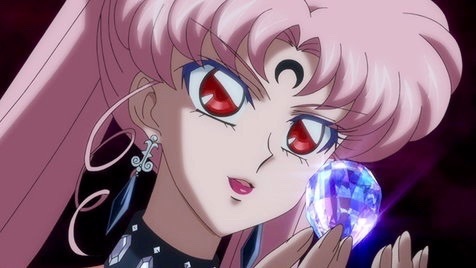 According to Queen Serenity,2 the Silver Crystal is a holy stone on the Moon that has limitless power. Considering that the Sailor Moon universe is one in which normal pens, makeup compacts, and even tubes of lipstick can be imbued with magical power, I’m not too futzed over the “limitless power” part of this statement. It has to be made of something and the question is what that something is. Judging by its color and design, diamond would be a pretty good guess. But, unfortunately for us, it’s unlikely that this is the case. Behold, Excali… the Moon Sword! Now, I’m making a leap in logic here for a second, but I’m going to assume that the Sword of the Silver Crystal and the Silver Crystal itself are probably made of the same material, which tells us that they are actually harder than diamond… kind of. So now that we’ve got our assumptions on shape (sphere) and material (diamond) out of the way, it’s time for us to get down to business! This is a tough one since people don’t usually make spherical diamonds. “Round” is probably the closest that we can get to this cut in the diamond industry, but we may just have to work outside the box on this one. This is the hardest one to calculate because we need some hard numbers in a fictional series that isn’t always consistent with real life laws of physics. Fortunately, we’re not entirely lost here, thanks to Bandai’s Proplica toy line,8 which claims to be 1:1 scale with the items as they appeared in the Sailor Moon universe. 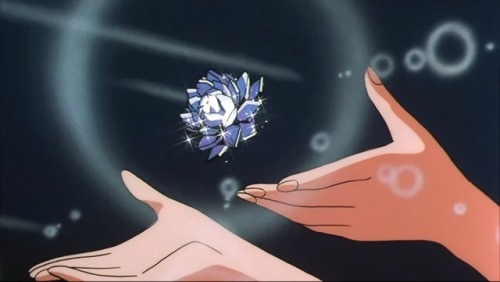 The Crystal Star Compact saves the day! As I mentioned earlier, the Silver Crystal makes its home in the Crystal Star Compact in the Sailor Moon R anime. Since it’s (mostly…) a sphere, that means that we can get its size (and thus carat weight) by measuring the size of the Silver Crystal in the Crystal Star Compact. Now it’s just a simple (??) matter of getting the weight of a sphere! Who’s ready for some math?? That gives us a carat weight of a whopping 173.73ct! This is nowhere near the 530 carats of the Cullinan I diamond found in the Sovereign’s Sceptre with Cross — the inspiration for Sailor Moon’s Spiral Heart Moon Rod — but still pretty impressive. Let Black Lady and Queen Beryl bid on it! So enough jibber-jabber! How much is this thing actually worth? Unfortunately, when you get to such massive sizes like this, it all ultimately comes down to “whatever some eccentric rich person is willing to pay.” The largest diamond ever sold at auction ranked in at 118.28ct, and sold for $30.6 million. Despite being the largest diamond sold through Christie’s, however, it still only ranks as the sixth most expensive. You know what they say: size doesn’t matter. ← Happy Birthday Makoto Kino! For a harder one, how much would the Golden Crystal be worth? I’m willing to bet it was worth a lot more than the focus they actually put on it, because my biggest disappointment in the series is that we didn’t see a massive role for Tuxedo Mask in what was really an arc focused around his plot points. If we want to consider the Golden Crystal under the same conditions as the Silver Crystal, you could probably argue that it’s a flawed/yellowed diamond… =p And maybe worth quite a bit less? I suppose it’s more reasonable than some of the more outlandish estimations you could make of it. Huh. I wonder why the color grading goes from D (best) to Z? The intervals in the scale are inconsistent, too. Seems like it would be easier to use decimal numbers or something. It’s honestly hard to say what any diamond, regardless of size, is “worth”. I read an article some years ago (Epstein, Jay. “Have You Ever Tried to Sell a Diamond?” The Atlantic, Feb. 1982.) about how the diamond ring market had been created and shaped over the years. They cited a number of cases where people attempting to sell their diamonds were flat-out refused by every store they tried. There were a couple of different reasons, of course — some jewelers were reluctant to reveal the wholesale price of gems, for example — but it was undeniably a factor that De Beers could crush them like bugs if they handled secondhand diamonds, which was against syndicate policy. In other words, the normal consumer-grade diamonds are functionally priceless too! On the other hand, I remember hearing that for inheritance tax assessment purposes, some items (like certain antiques) are considered to be the price it would take to acquire something similar. 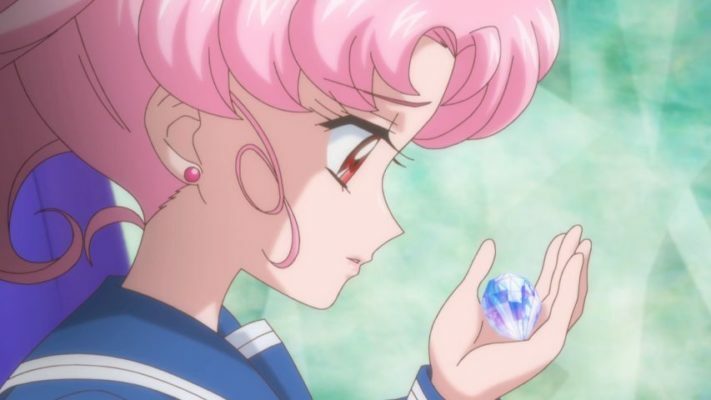 Perhaps that means the Silver Crystal is “worth” what it took to create Usagi, however you care to calculate that? Hello I was wondering if my message for you had gotten through? It did, but I’m afraid your message was rather vague. Could you please resubmit using the Contact Form with information on what you would like to discuss or what your request is? Typically, I don’t communicate by email for blog-related matters. If you would just like to talk, Twitter (@t_unmasked) is probably a better choice.